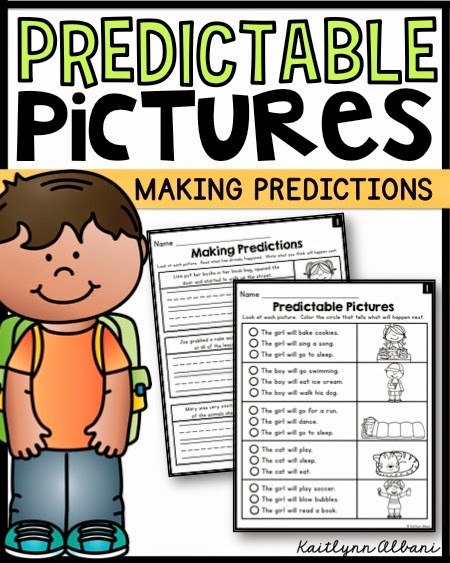 Click here to learn more about a fun way to practice making predictions with your students! There are two different sets of pages included. 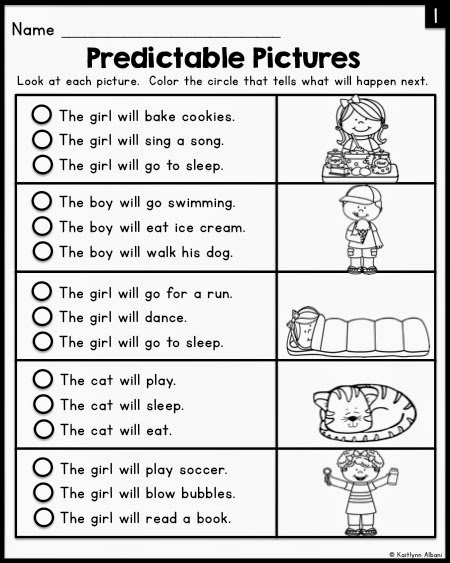 Predictable Pictures: Look at each picture. Color the circle that tells what you think will happen next. 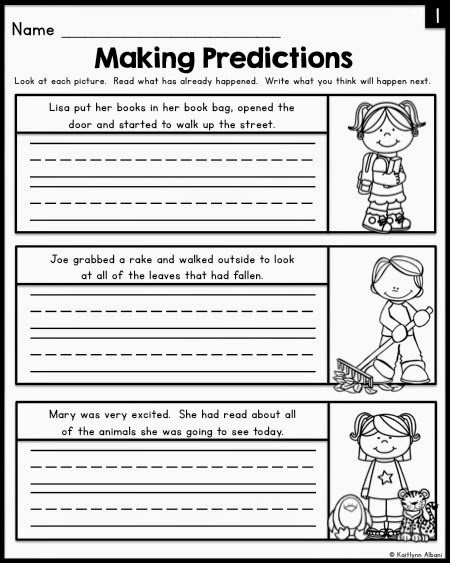 Making Predictions: Look at each picture. Read what has already happened. Write what you think will happen next.